Where did May go? Incredulous to the fact that I've been here just over a month already, I decided a recap was much needed. Staff have been pouring in like salmon and the tourists as well. The traffic coming into the Kenai on weekends has grown by hundreds of percents and getting more dangerous to walk to work everyday! It's like someone unleashed the flood gates. The wildlife has woken up as well. The beginning of May was highlighted with a few moose but now they've started dropping their calves and there are cute little moose-lings everywhere! The lupins and roses are finally lifting their winter petticoats and flashing their colors. I love how summer in Alaska comes on with such intensity. The river has swollen to almost peak season flow due to the hottest April on record. Talk about rollin' on the river! The end of the month saw the safari team heading up north for some trip training. This is when our guides learn how to be "guidely", work trip logistics and brush-up on some natural history interpretation. It was a blast and the phrase "We get paid for this?" just kept coming out of our mouths. 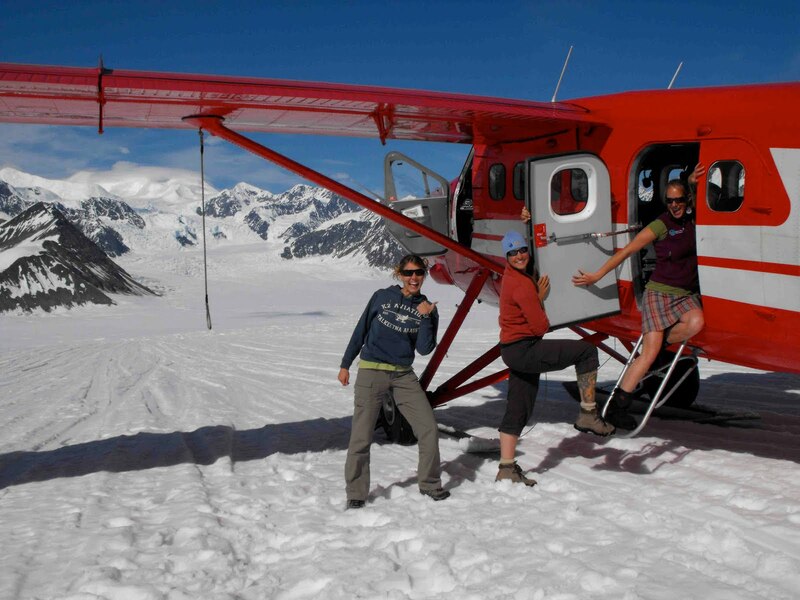 We took off for Anchorage, taking time to see some glaciers and our year round office in Girdwood (though originally called Glacier City :). 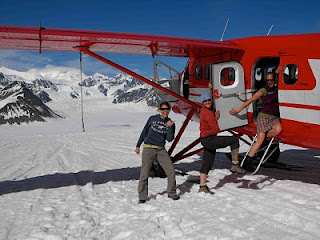 After that we tackled Talkeetna and were able to go flight-seeing and land on the Ruth glacier. WILD! 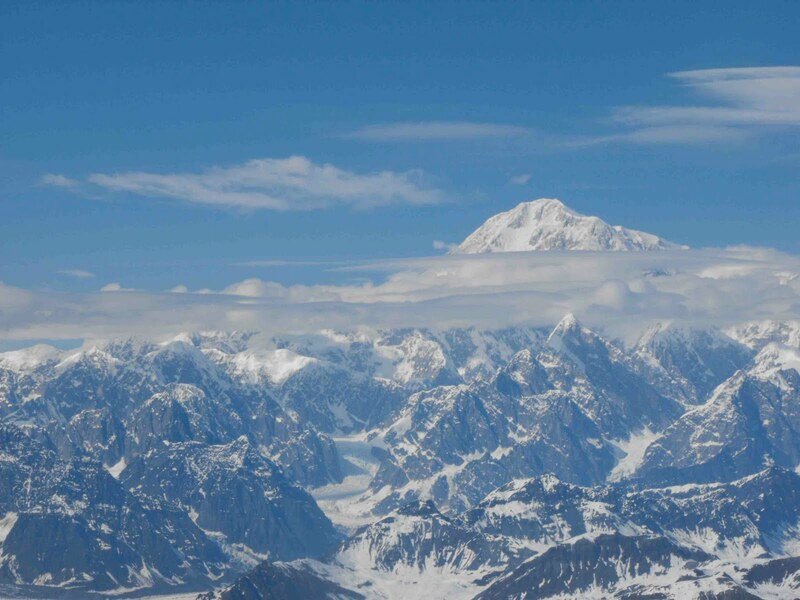 It was a gorgeous day and Denali was in her glory. We then spent a lovely lovely dinner with a local family who hunts all sorts of wild game. After dancing the night away at the Fairview it was another early morning to break camp down and get ourselves even further up north to a place I will never tire of. 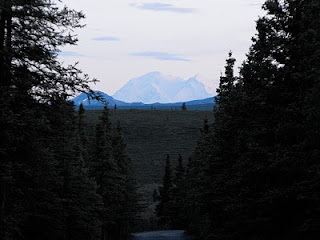 Denali National Park is one of those haunting places that never quite leaves that murky place in the back of your mind. You know, where we keep dreams like owning a mobile bread bakery and never paying rent? With six million acres of park and preserve, it is literally endless and even better, trail-less. Just get off the bus and start walking. 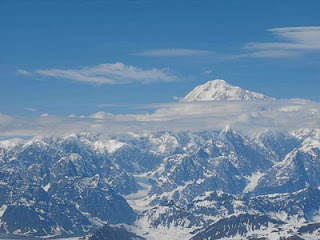 Really hoping to get up there for some personal time this summer. 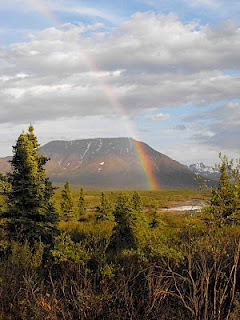 The weather kept smiling down on us and right at the end of Savage campground, 15 miles into the park, a huge, full rainbow made a show for about thirty minutes. S'mores and good company made the last evening of training a great wind-down. Had I not frozen my legs off sleeping on my coaster-sized therma-rest, I would have passed the night splendidly as well. I see a purchase in my future. It may have been the warmest April yet but the nights still require coats and campfires. On a twilight walk-around, we were blessed with a priceless view of Denali. It's so big it creates its own weather systems so clear viewing is rare. It truly was a perfect moment. Things are picking up around Cooper Landing. The salmon escapement has been dismally low this year so fishing on the lower part of the river for kings has been closed until July 1st. Should make for a pretty interesting June. Rachael, I've enjoyed reading about your summer so far. It is nice to get a bit of nostalgic and remember last summer. Looking forward to reading more of your posts,since I can't be there in person.